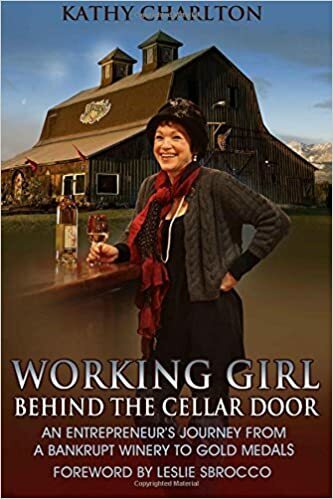 Working Girl: Wine for Cows... Is It Cabernet Sauvignon? I've heard of feeding beer to pigs... and now the Western Canadian beef producers have found a novel way of putting the "bar" in barbecue. Angus cattle in British Columbia's Okanagan wine and cattle region are being fed red wine with their grain. Chefs in this Canadian Pacific Coast province said it makes for a unique beef taste. The idea is the brainchild of Janice Ravndahl of Kelowna, British Columbia's Sezmu Meats. Ravndahl said the beef produced has an enhanced flavor, the marbling is finer and the fat tastes like candy. "You don't get any better than steak and a wine," she said. "We just start a bit earlier." Ravndahl said she started with one young cow who took to the bottle immediately, quickly earning the epithet "Wino." It definitely changes their personalities. They moo a lot more with each other. They get really chatty," she said. .... No mention of the varietal of red wine served or the quality... do you think the cows know the difference between jug wine and a hearty, full bodied Cabernet from Washington State?